Metallic Dresses were seen at this year's Oscars by Sandra Bullock, Cameron Diaz and Kate Winslet. 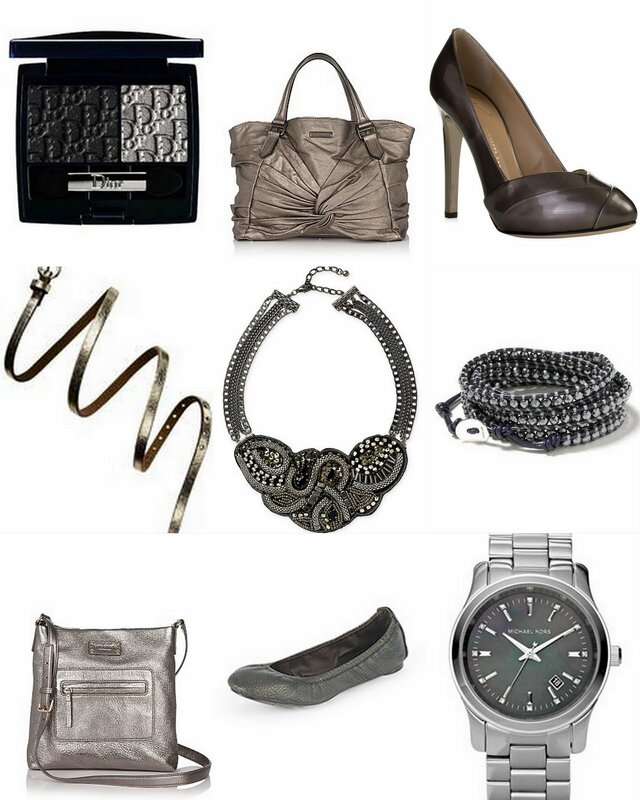 Modern metallics are also one of Fall 2010's Top Color Trends. And in case you don't click on this link the other great colors include camel, pale blue, mixed olive, and bright red. And here are a few metallic items I have my eye on for the fall. Many of these are on the expensive side but the selections are high quality, classic, and versatile enough to carry you through the years. I already have a few metallic items seen here and here. But I would love to add any of these items to my collection. Are you into heavy metal for the fall? I also wanted to say a special thank you to Tayebug over at Living Happy and Healthy 365 for giving me an " I love your Blog" award on your Saturday post. I was already having a beautiful morning after just completing a yoga class outside. (yes I actually made it to this class!) And reading your email made the day even more sweet. And thank you Bella (from Bella Gets Real) for featuring me on your Friday post. Your kind comments about me were so thoughtful and genuine. I am still pretty new with blogging so I am humbled and amazed that these lovely ladies are enjoying my blog so much. When you have some time do check out these stylish blogs.